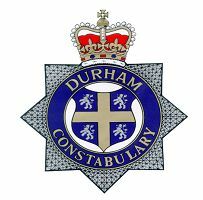 Durham Constabulary is always looking at innovative ways of apprehending and identifying criminals who target motor vehicles to either steal or steal from. To help us with this your local neighbourhood police teams have deployed a number of vehicles on you r streets which are sometimes referred to as ‘sting’ or ‘rat trap’ vehicles. These vehicles have state of the art technology fitted to them which enables us to either apprehend the offender at the time of committing the offence or identify who is responsible and arrest them at their home addresses. The police also want the community to assist in the prevention of vehicle crime. A vast majority of these types of offences are committed by opportunist thieves who see items of value being left on visible display within vehicle. Durham Constabulary want to work with our communities in the prevention of vehicle crime and Inspector Hall went on to say, “We urge the public to remove from their vehicles any items of value while your vehicle is unattended or if this is not possible then to place these items out of view”. It is not only the initial loss of property and damage to the motor vehicle which effects us as individuals but the bigger picture is that if we have to make a claim on our individual motor vehicle insurance policies then we find that future monetary premiums tend to increase.